Which bin among the 6 will fill up first. Look closely for any faults and guess the right answer. Bin 5 will fill up first. 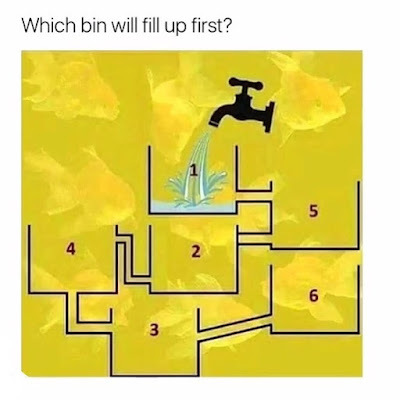 Water will flow from bin 1 to bin 5. But the connecting pipe from bin 5 to bin 2 is closed at its end. So bin 5 will fill up first.